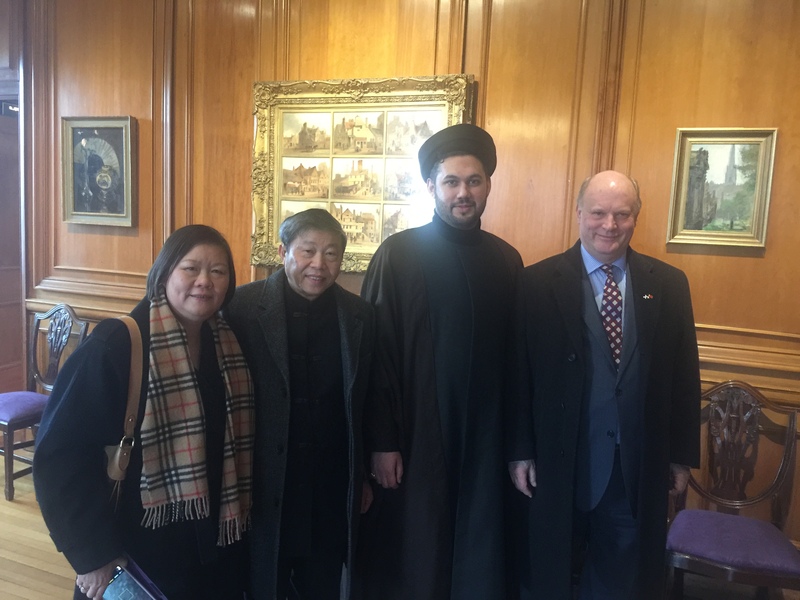 Fraternal relations growing between the Chinese and Shia communities of the nation and beyond. 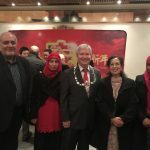 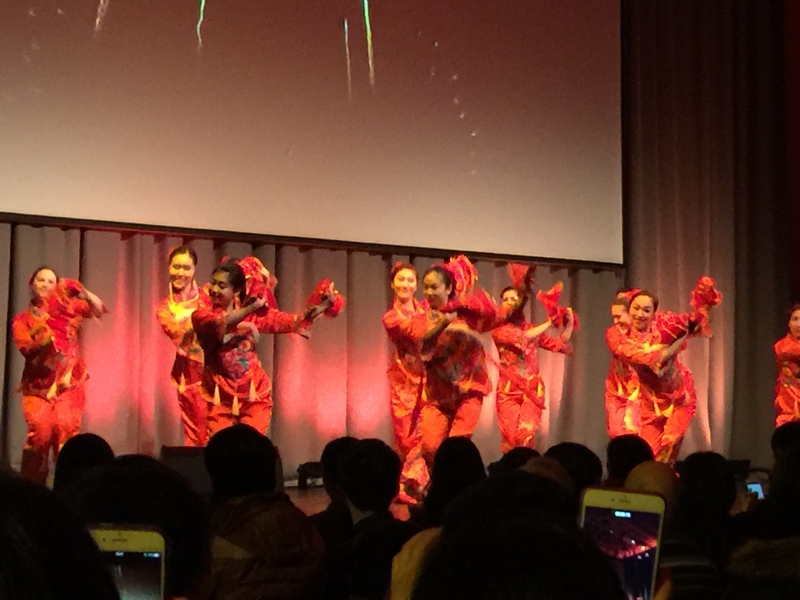 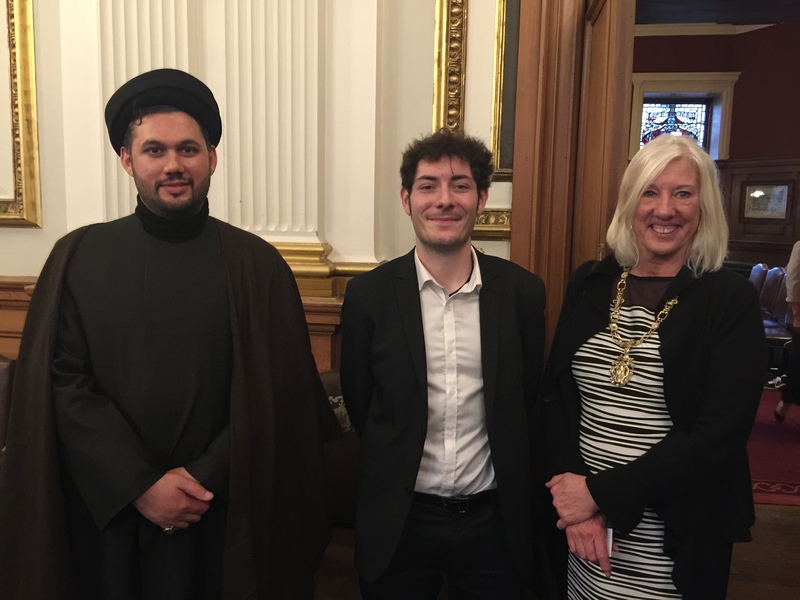 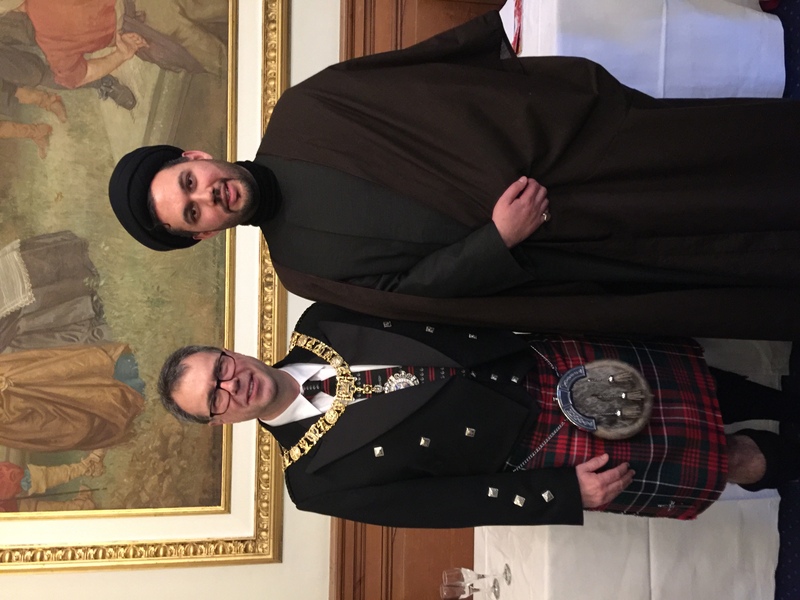 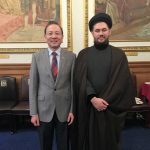 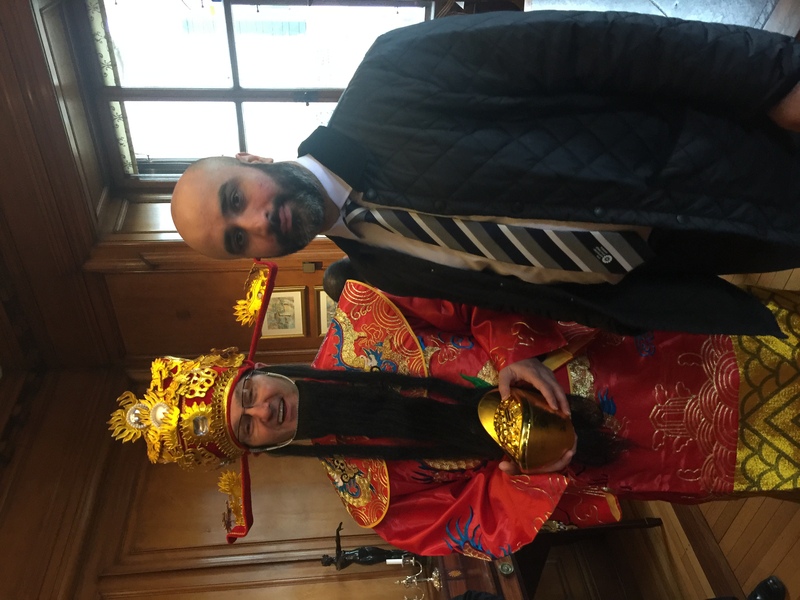 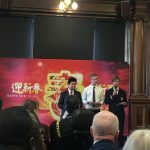 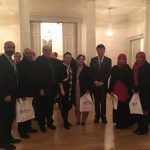 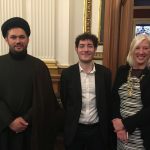 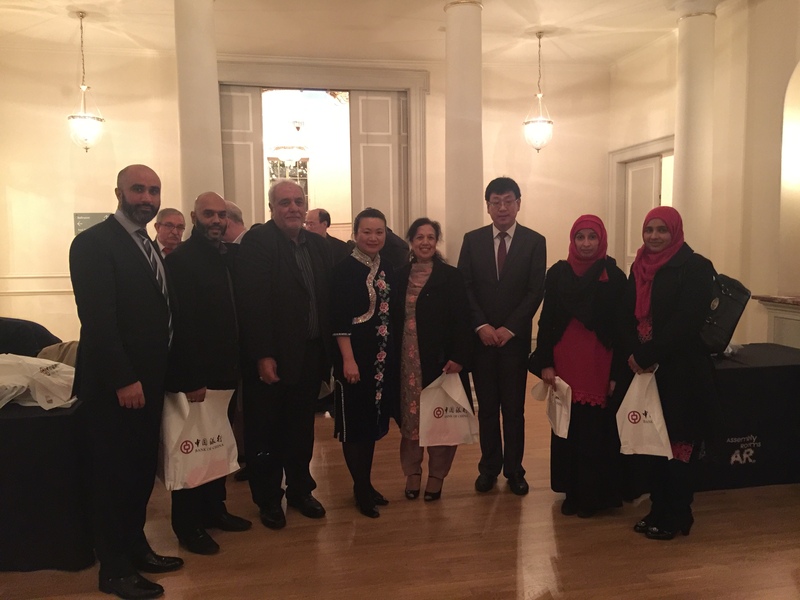 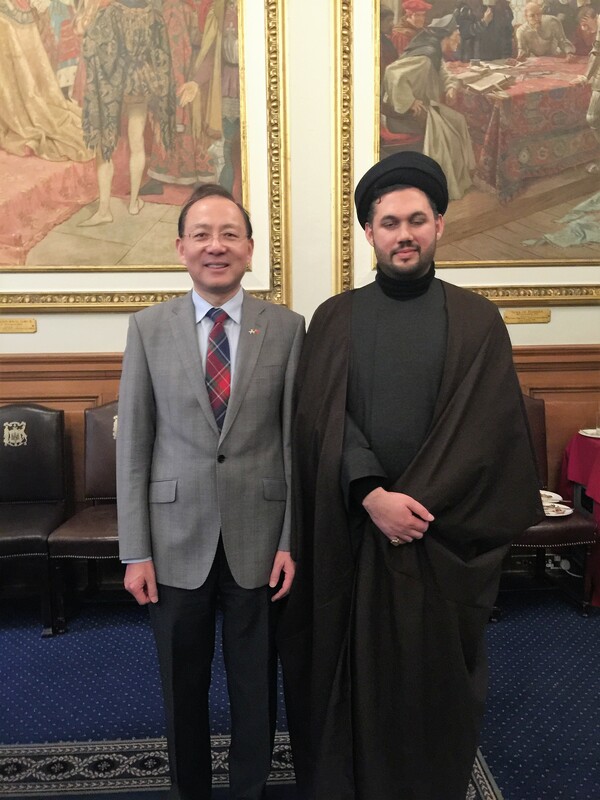 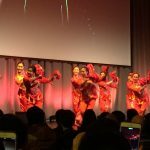 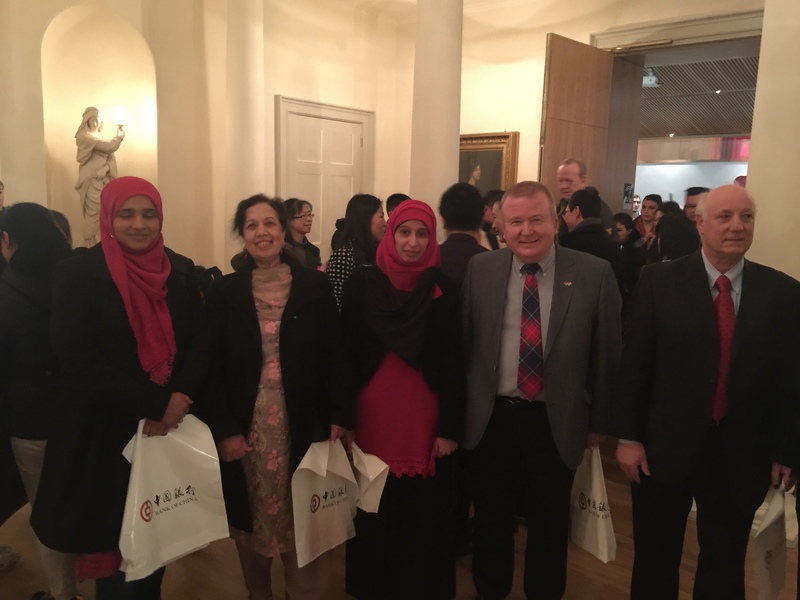 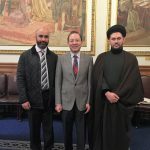 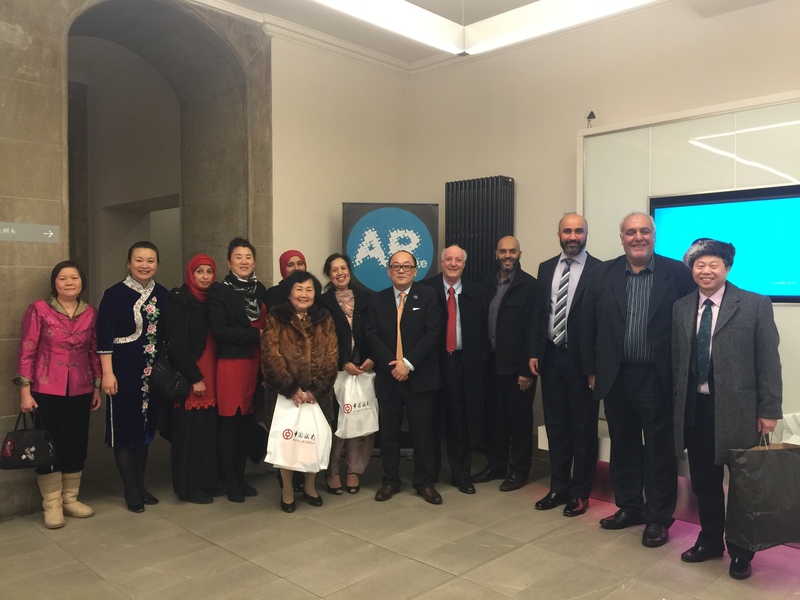 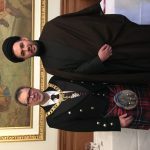 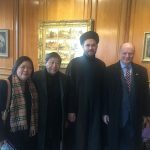 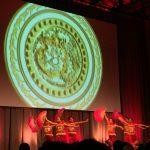 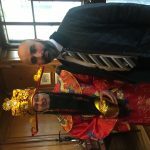 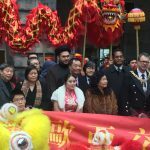 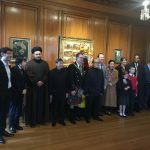 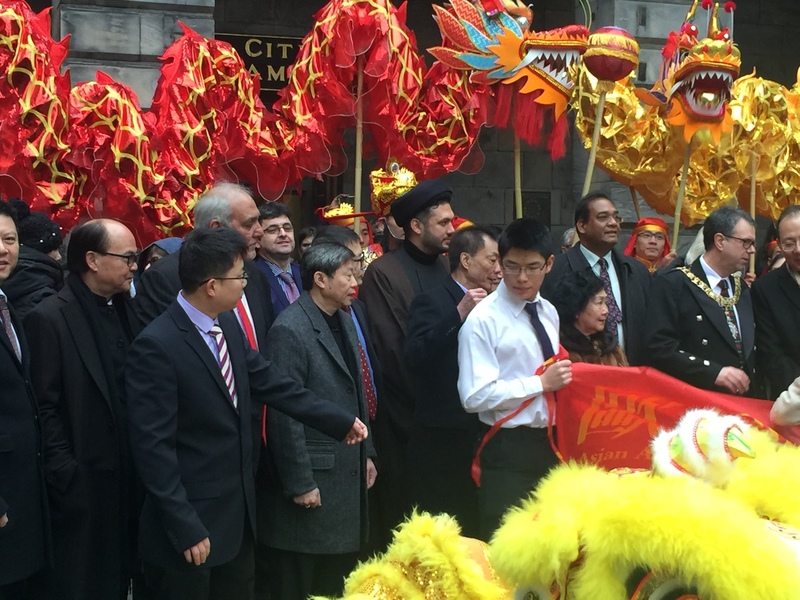 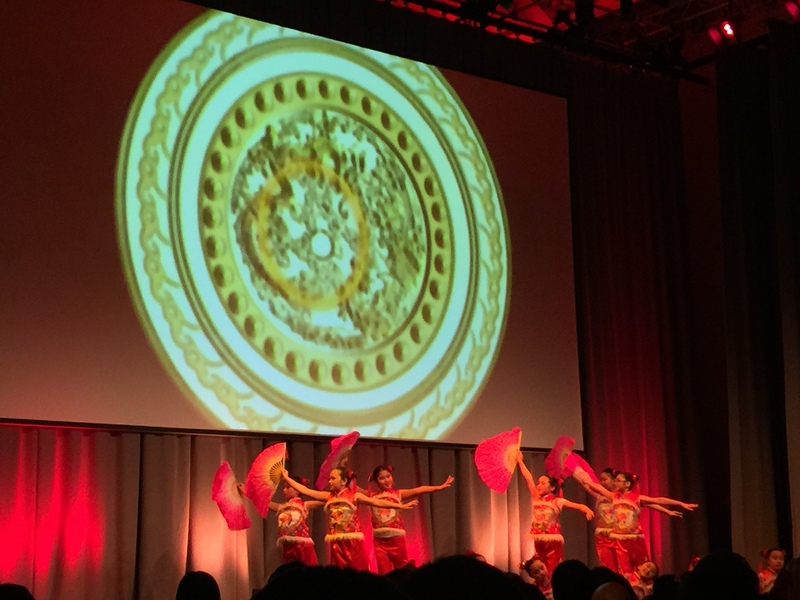 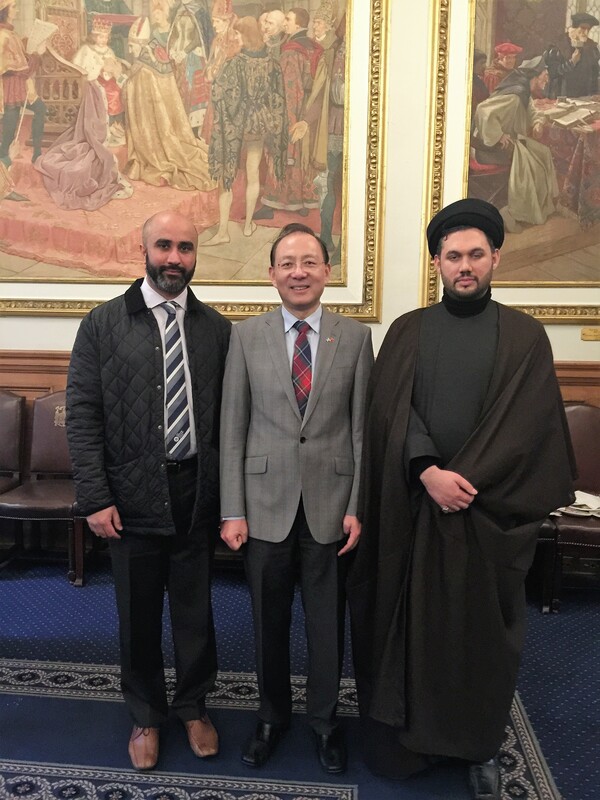 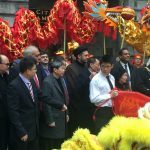 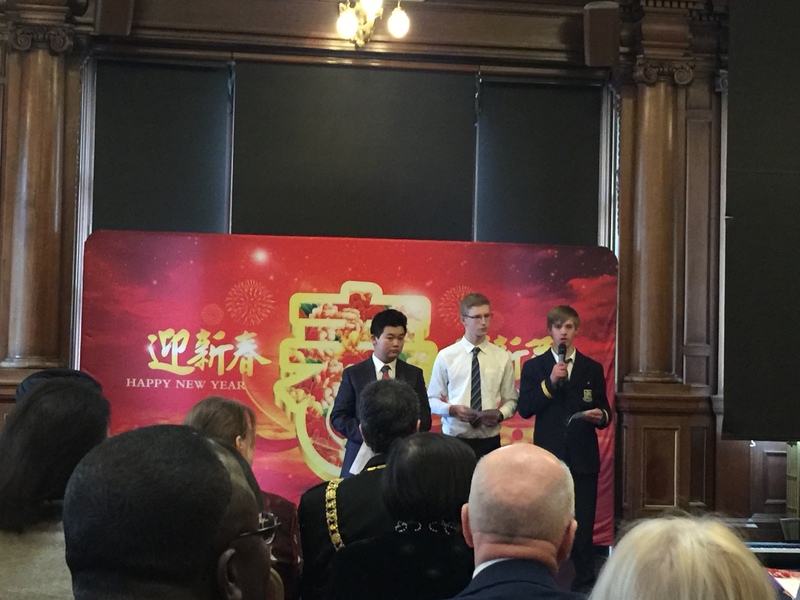 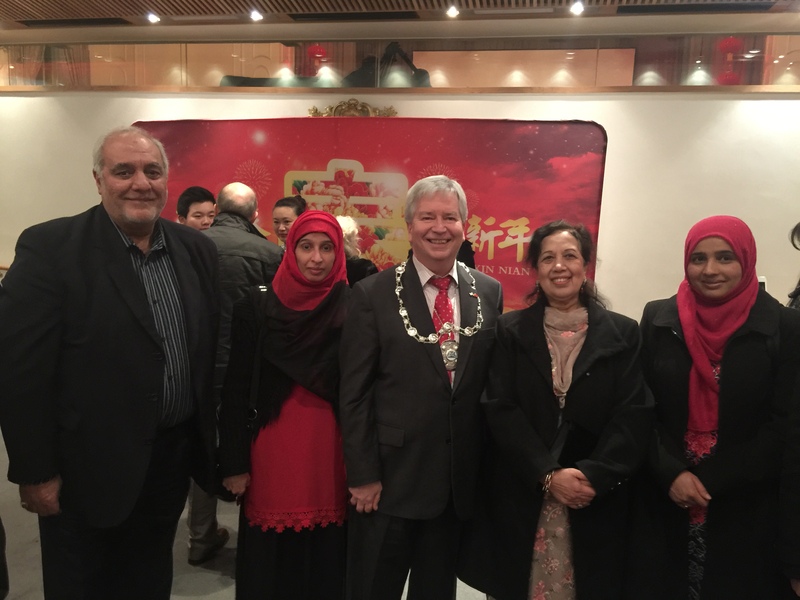 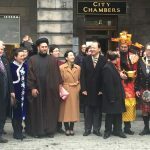 The executive committee of the Scottish Ahlul Bayt Society are privileged to have shared in the festivities of the Edinburgh Chinese Lunar New Year Celebration, at the City Chambers, in fellowship with the Chinese community in a union across civic, cultural, commercial and diplomatic sectors of society. 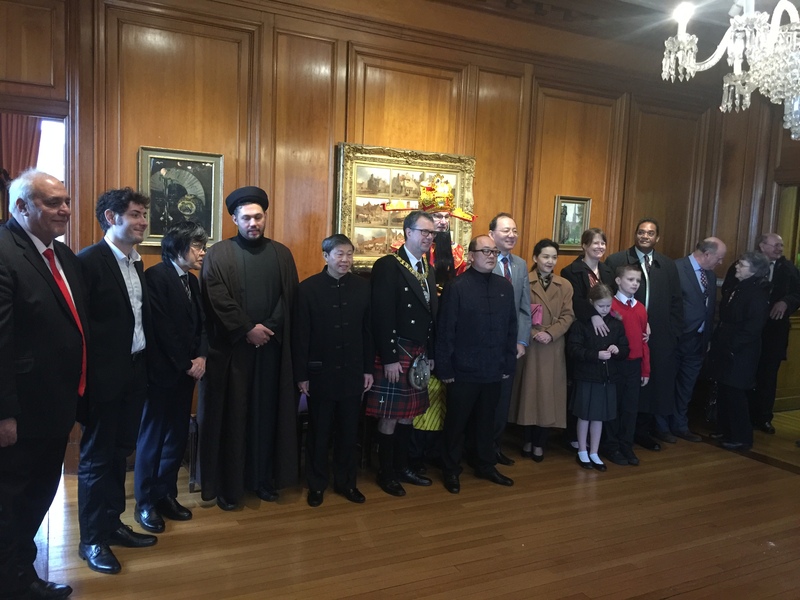 In recognition of the celebration’s guests of honour: His Excellency Consul Pan Xin Chun Consul General of China in Edinburgh, Madame Pan, the Rt Hon Donald Wilson Lord Provost, and Lady Provost. 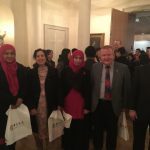 Also in attendance were the Consul Generals of France, Germany, India, Italy, Japan, and the USA. 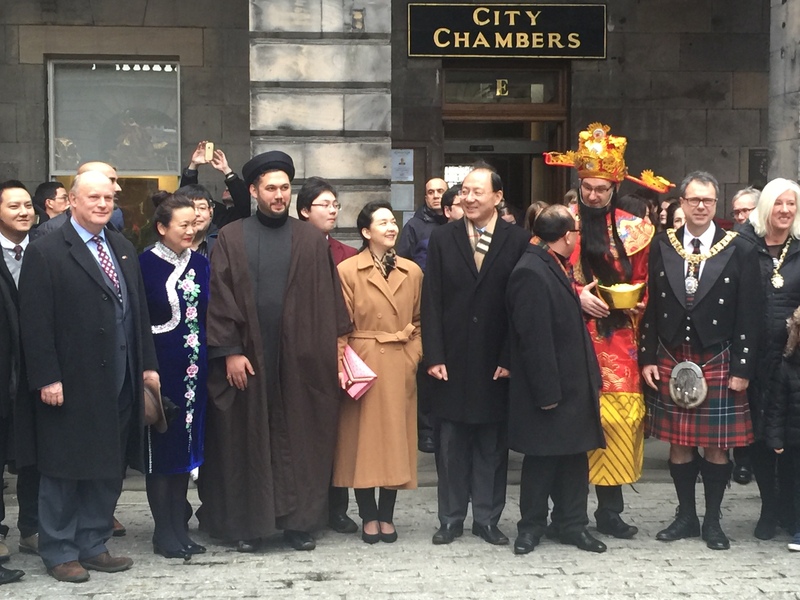 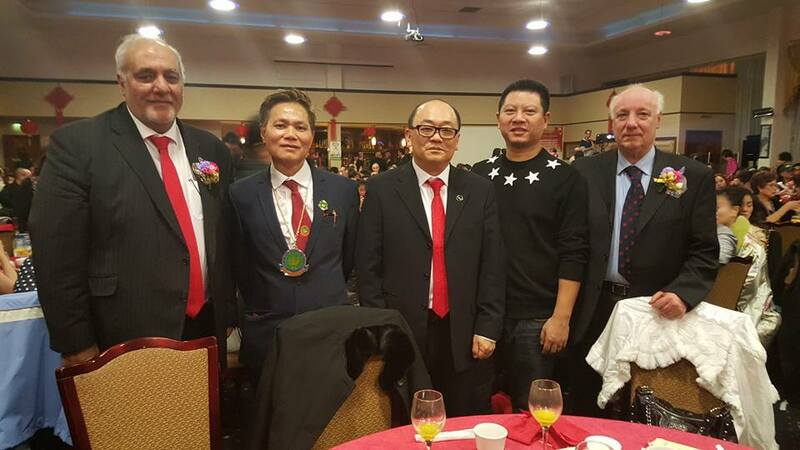 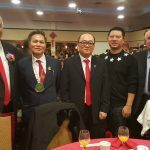 We were then honoured to have partaken in the superb Kut O Benevolent Society Chinese New Year Celebration in Glasgow, where esteemed dignitaries from around the UK, Europe and the Far East were present. 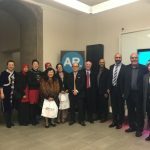 Our gratitude is extended to Edward Tsang Chairman of AACCEE. 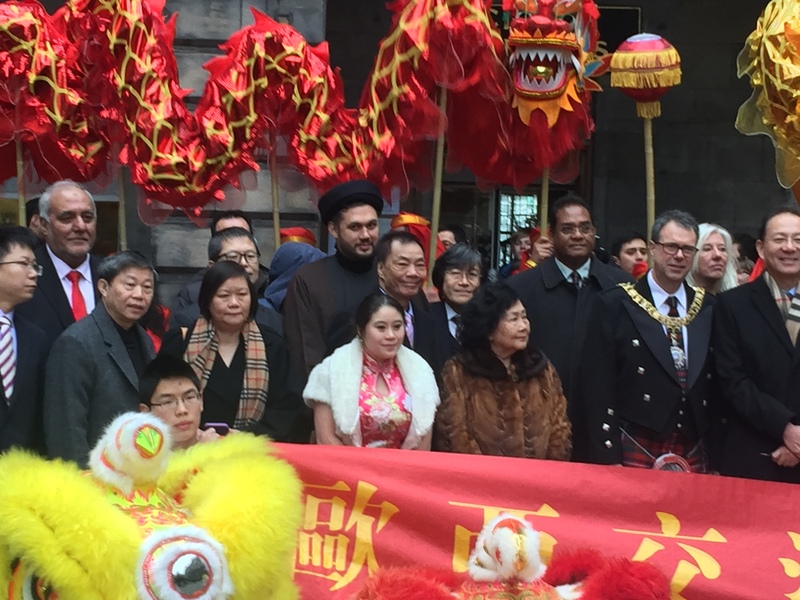 And our sincere wishes to all for a year of harmony, good fortune and abundance. 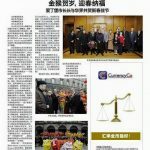 英国侨报 UK Chinese Journal. 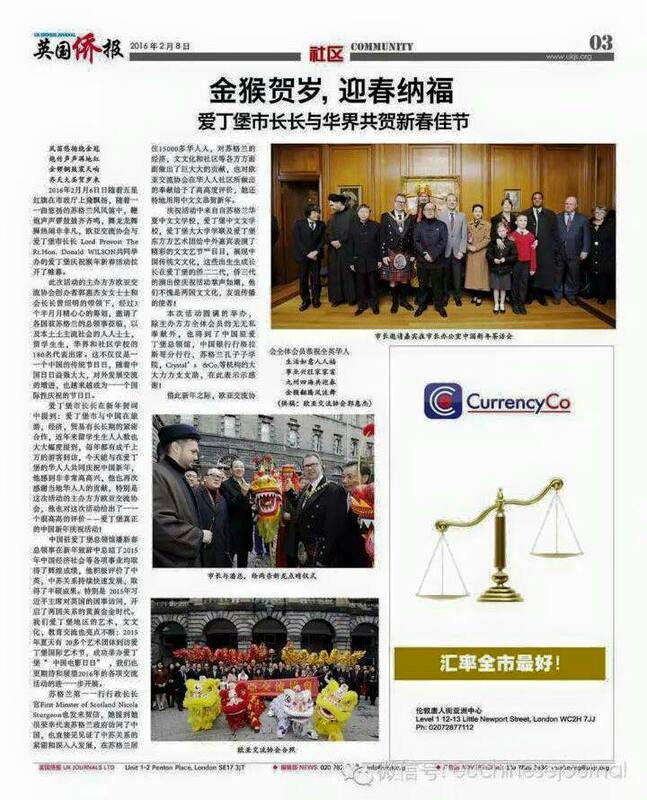 Published on 08/02/16.